Many people look for Pet products online and in stores. We review pet products we might have found on the news or in the as seen on TV show or even in magazines. If we can find coupons we will let you know on these product pages. What we always do is look at quality and safe pet products in our reviews. Designer cat litter boxes are designed to make your house look nicer by hiding that ugly cat litter box in a nice piece of furniture or in anything else to keep it out of sight. 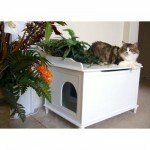 Have a look at the Designer litter box reviews we did for you and your cat or click on the picture to go there. A normal hair dryer is not the right one to use on a dog or any other pet. The temperature is even on the lowest setting to high for them. Specially a pets ears are to sensitive for the high temperature. A so called dog hair dryer uses a lower temperature and a higher air speed to dry the fur of your pet. 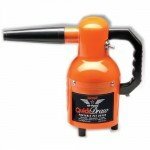 Have a look at the dog blow dryer reviews we did so far and there will be more added. Or just click on the picture. What is nicer than your pet to have a bowl with its name or even a picture on it. So much nicer than a store bought plain bowl. It will also make you kitchen or other place where you feed you pet look nicer. There are hundreds of designs to choose from so the one you choose will always be original. 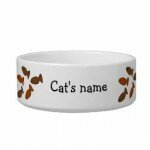 Customized bowls are also the perfect gift for any pet lover. Click at the picture or on the link here to find all the ccustomized pet bowl to choose from for your pet. We will be publish more pet product reviews on a regular basis so come back to check or send us a tip for a product you would like to see reviewed.